Fall is upon us. There is no turning back. So, this year, instead of living in denial and continually hoping for one more week of summery weather, I have decided to embrace it. Embrace the clear, blue skies. Embrace the cooler air that beckons a warm, snugly sweater. Embrace the smell of molasses cookies baking. Embrace the planning of baking all things pumpkin. Oh yes, I am embracing. So I'm wearing socks instead of flip flops and I'm layering my shirts, but I am embracing fall. On Tuesday, a beautiful, sunny yet cool fall day, we went to a nearby apple orchard with our friends for a fun field trip. We had a great time together. 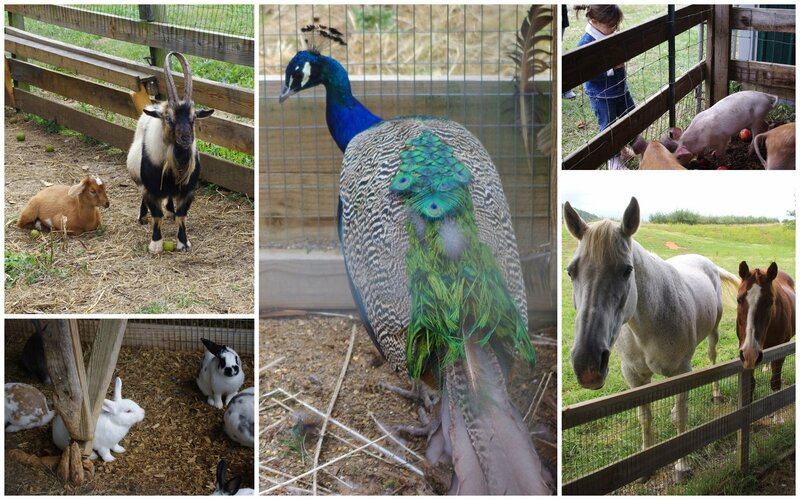 The kids were so well behaved...all 7 of them...they enjoyed the animals, and the apple picking, and each others company. 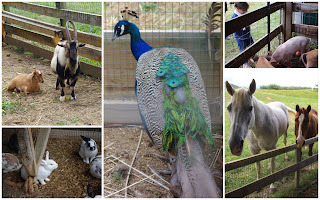 Here is a ridiculous amount are a few pictures from our day. I know, I know, that was a lot of pictures. Believe me, I narrowed it down to save you from about 40 more pictures. How are you embracing fall?